This is Deus….. a young man wanting to get more education. He comes from Kibaale …. where there is no running water, no electricity unless you have a generator. His father and mother are farmers. They like everyone else in the area have what we might call a hobby farm. But it is not a hobby to them. It is there livelihood. He has a few brothers and sisters. Somehow a few years ago, I saw a picture of his wonderful smiling face and just had to sponsor him. I have been sponsoring him with his education for the past 4 years. Little did I know that his graduation from grade 12 was not the end……. 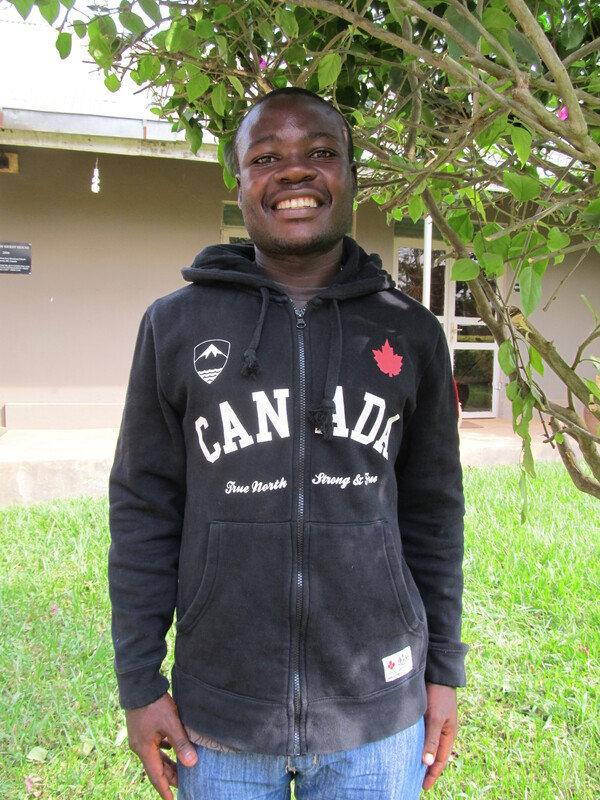 some how I thought that getting a student to complete grade 12 in rural Uganda was an amazing feat. He wants to go to university and become a business man…. work in a bank or own a shop… or work for the government. He has a dream and wants more out of life than to live and work on his family’s farm. So, I am supporting him in his quest for more education. Now, the cost of a university education in Uganda is not expensive to us but far beyond his or his parents reach. I am living and working in rural Uganda….. with little or no running water and electricity when the generator or solar panels work. I guess you could say live is simple…….. but for Deus, life got a lot more interesting. He is now expected to have a computer for all his university studies. He has never had a computer, never used a computer nor does he know how to use one…. but the professors or teachers at the university in Kampala (the capital) expect him to have computer. Yes, a few hours down the red dirt road takes you from old fashion to 21 century. Deus is not the only student who is frustrated, confused and stopped in his tracks for lack of a computer. I have meet two of Deus classmates from Kibaale who are also in the same situation….. it all came out at the end of last semester. Both of these young men are going to different schools one of medicine and the other for agriculture. Each one of them will be an assets to the new future of Uganda. They just need an education. This is just a little of the complex and confusing differences between the big city and capital of Uganda, Kampala and the rural village of Kibaale. Hello Margo! It’s Mel, that’s wonderful Deus wants to go to University. I wonder how difficult it is to send a couple laptops over there? I have 2 that aren’t being used here, they are maybe 5 years old, they aren’t that fast but I can reformat and do a clean install of windows on them! There may be specific requirements the university has regarding the computer(operating system version or specific software(s)), if you have time to, get back to me on this please! In the meantime just in case, I’ll set one up and install microsoft office as well on it so it can be ready to go.